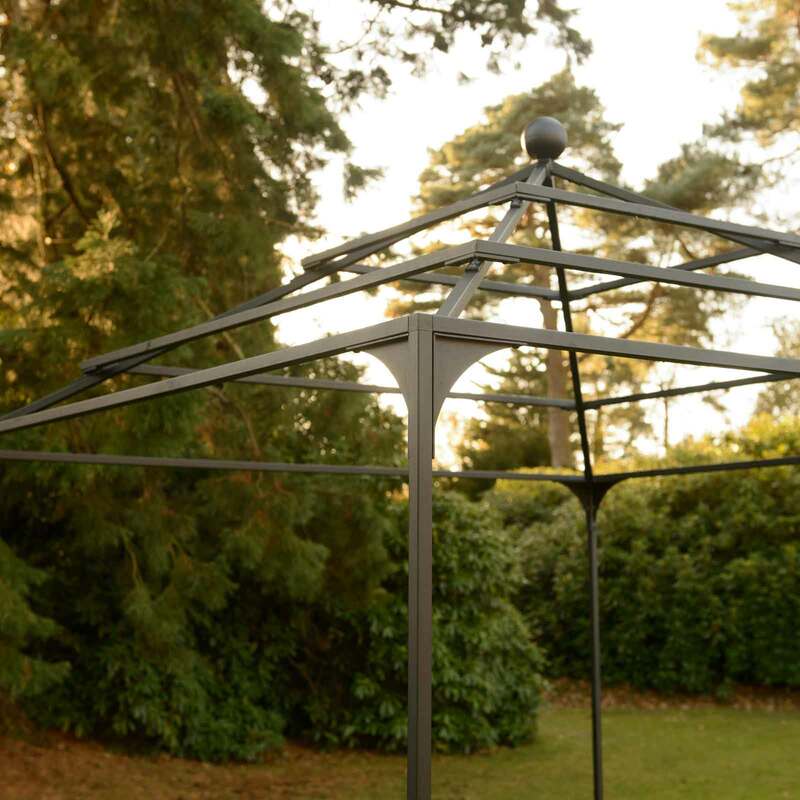 The Harrod Pyramid Gazebo will create a stylish covered area in the garden, exclusively designed and manufactured by us in the UK, the strong steel framework is a great alternative to wooden gazebos and comes with a 10 year guarantee. The Pyramid Gazebo measures 2.5m wide x 2.5m deep with the elegant pyramid design topped with a ball finial standing 2.86m high. 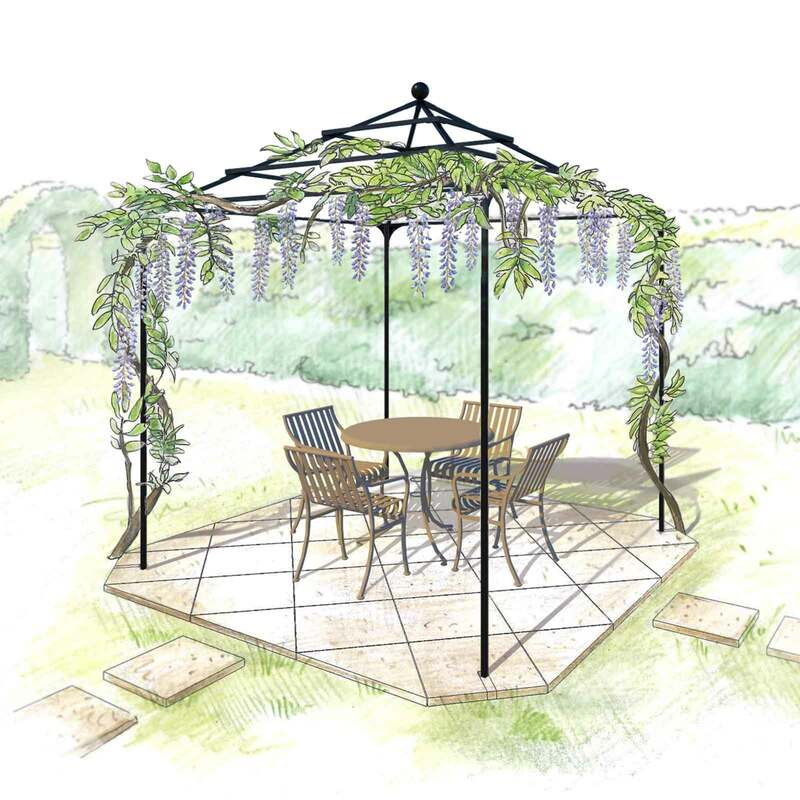 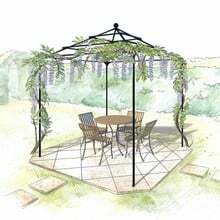 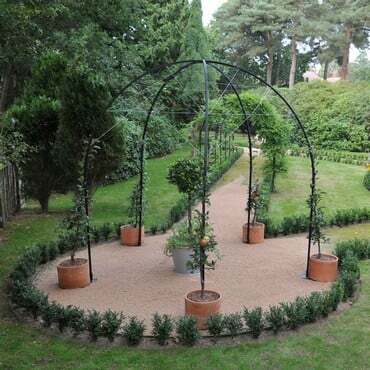 The uprights of the gazebo are designed to be inserted 30cm into the ground for stability and can be concreted into place for even greater rigidity if required. 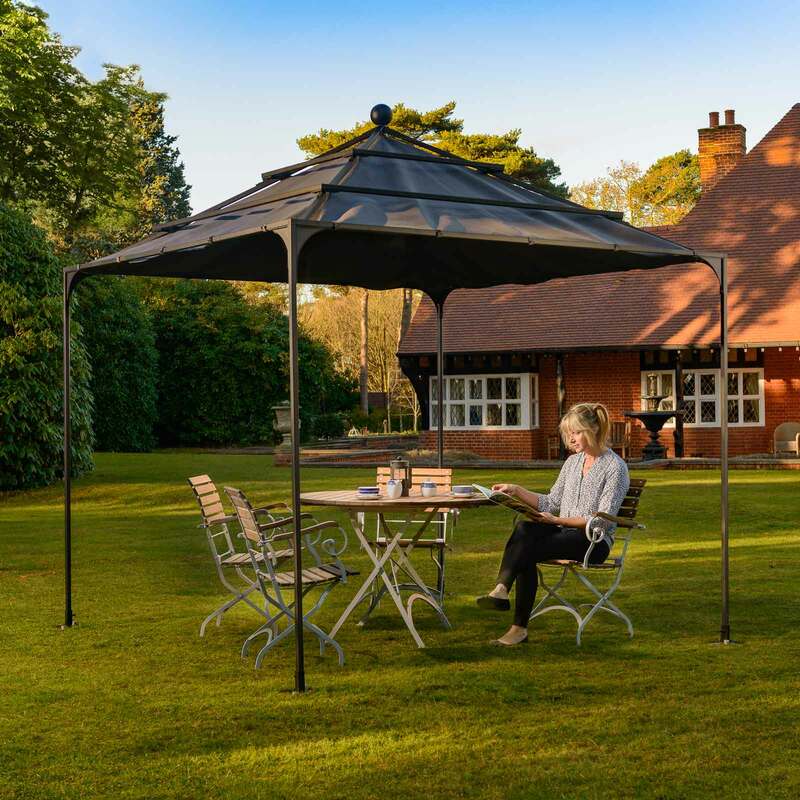 The optional Gazebo Cover turns the framework into a covered area, perfect when some shelter from the sun or inclement weather is needed. 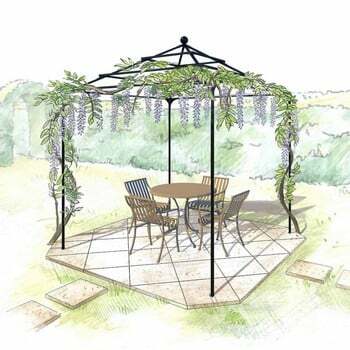 Supplied in a stylish grey colour the cover is made using high grade marine sail cloth and is shower-proof. We suggest removing the Gazebo Cover during the winter months and if strong winds or snow is forecast. NB. 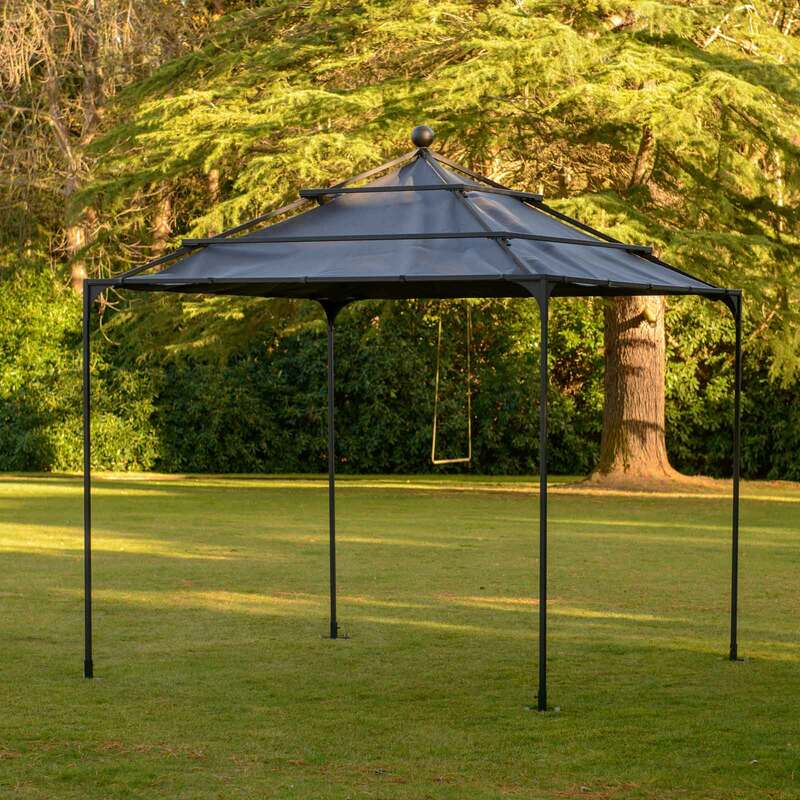 Gazebo Cover is made to order - please allow 4 weeks for delivery. 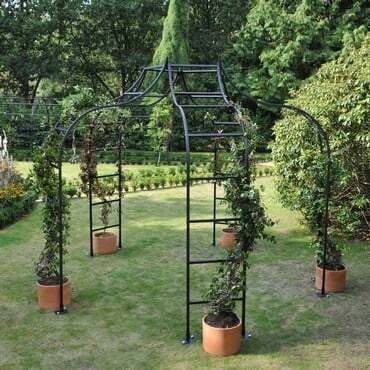 The Gazebo is manufactured to the same exacting standards as our best selling Fruit Cages, using UK sourced extra strength 1.5mm thick wall x 25mm square steel sections, galvanised inside and out and then high temperature powder coated matt black for a long lasting weatherproof finish. The framework has bracing plates at each corner for greater stability and is easily fitted together with steel reinforced connectors to produce a strong and stable frame.